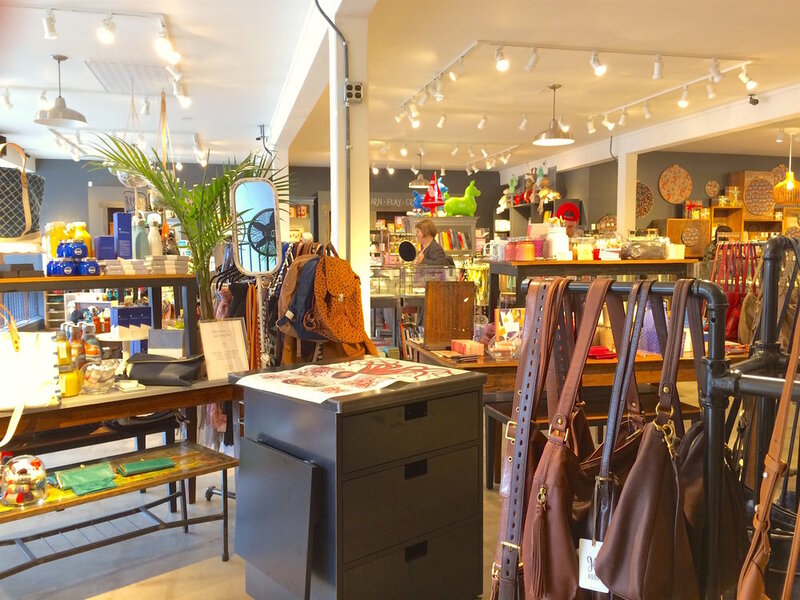 This pocket of the North End finds its balance in a healthy mix of business and residential. While its central focus is handy, day-to-day shops, markets, and restaurants, these retail spots are surrounded by idyllic houses. Streets of suburban homes are lined with trees, and the days are populated by students of nearby Washington-Hoyt Elementary School, Mason Middle School, and Tacoma Waldorf School. For shopping options, the Proctor district is positively packed. The Metropolitan Market and Safeway provide two different price points for your grocery-buying needs, while 26th St. features a collection of specialty clothing and home-furnishing shops, as well as Washington's oldest operating bowling lane and movie theater (Chalet Bowl and the Blue Mouse Theatre, respectively). Every Saturday, the long-running Proctor Farmer's Market sets up on N. 27th. Proctor District's centralized location places it within an area that brushes up against several vital parts of Tacoma, like 6th Ave, the north end, and Point Defiance. This is a family-friendly neighborhood that skews toward the higher end. Read more about Proctor on our blog! The beloved Blue Mouse Theatre, in operation since 1923, is a great movie house experience, even on a budget. They host the annual Destiny City Film Festival as well. 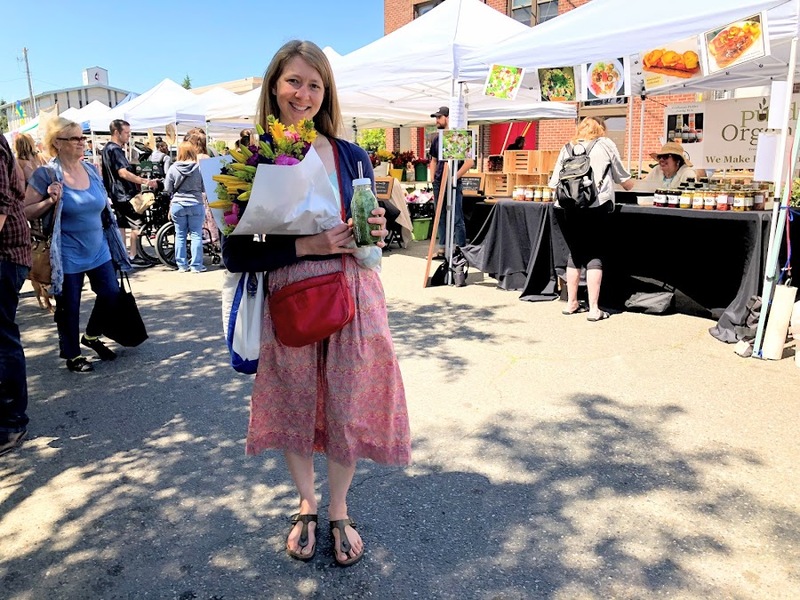 The Proctor Farmers' Market is Tacoma's only all-year market. The market takes place every Saturday, from the end of March - mid December, and 2nd Saturdays in January, February, and March. Diversity: 89.24% White, 1.63% Black, 3.20% Asian, 5.9% Other. There's always a fanciful display in the front window to welcome customers into this nicely curated store full of toys, stuffed animals, and wonderful books. This unique shop was started by a 9 year old! Welcome LEGO lovers: buy, sell, trade. Learn more at the store's site. 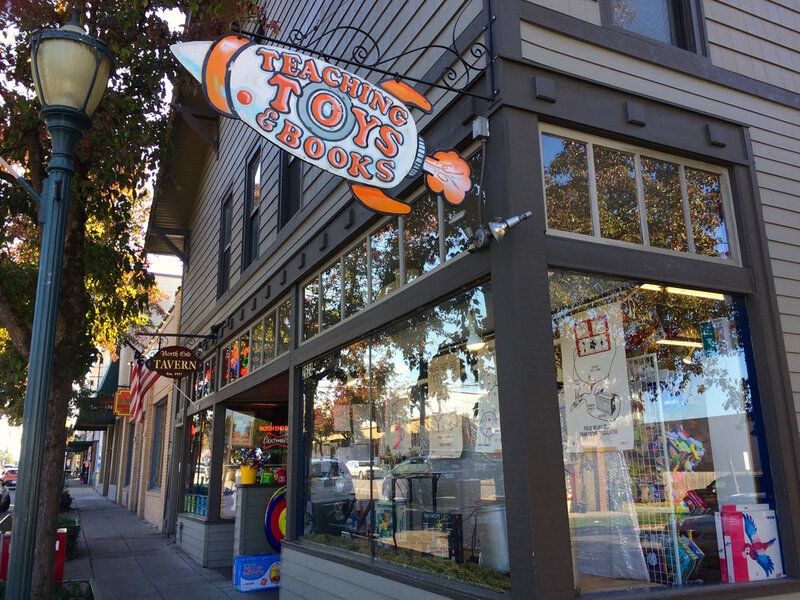 A favorite gift shop in the neighborhood, thanks for expanding from downtown Olympia! Every Saturday this market brims with fresh produce, hot food, wild mushrooms, bright flowers, and lots of people. Located across the street from then Anna Lemon Wheelock Library, this is a beautifully renovated public elementary school in the Proctor neighborhood. 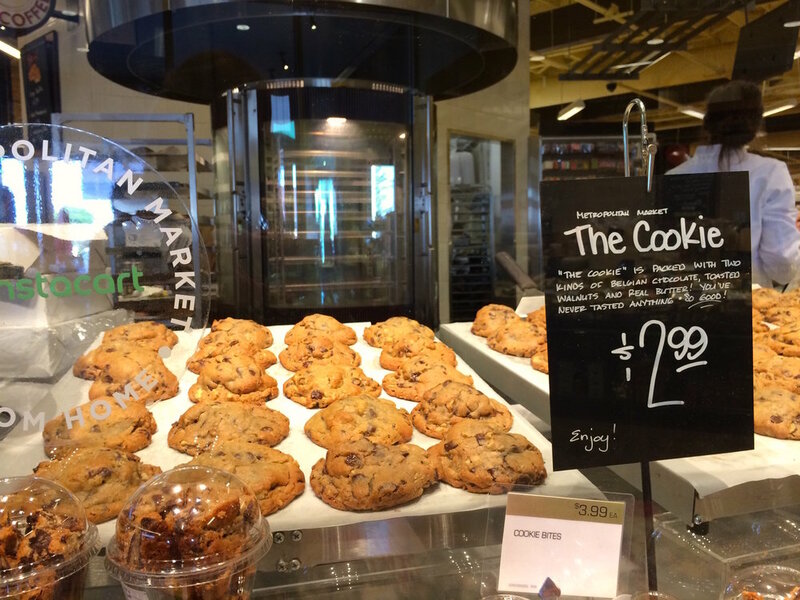 Drop in for a fresh baked croissant, a scoop of gelato, or for events like trivia night. A welcome addition to the neighborhood. Just a few blocks east of Proctor Street on North 26th, this is a neighborhood gem. Eat sandwiches, soup, salad, and stay for wine or dessert. Yes, video rental shops do still exist! At least in this corner of the world, and we hope it stays around. 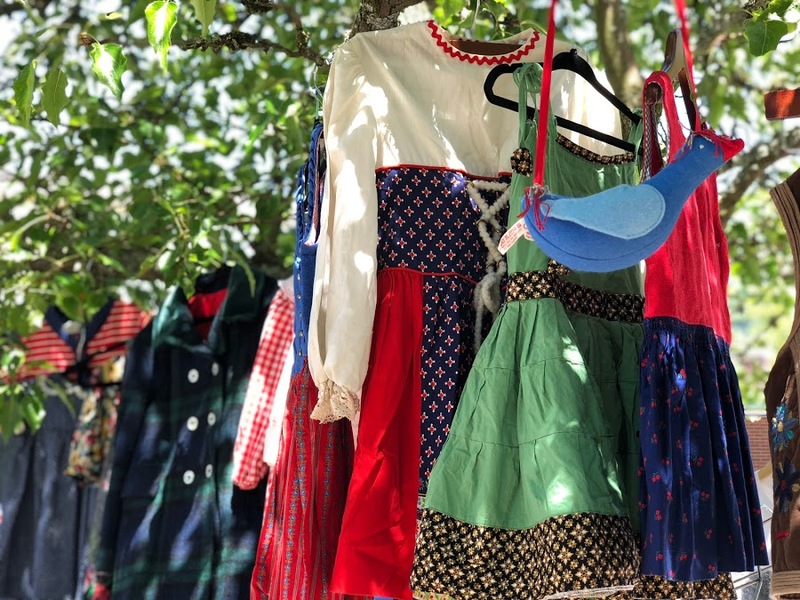 On Saturdays, just across the street from the farmers market, find this vintage and handmade market full of goodies! Mural by Alexis St. John by the Blue Mouse Theatre. This annual event takes place the first Saturday in August and it’s huge! Down Proctor St and every side street booth upon booth of arts and crafts and stages. Beautiful window boxes persist into the fall season outside the Pacific Northwest gift shop. Mural by Rachael Dotson in 2010. "Fresh, Organic, Local, Produce." See more from the Tacoma Murals Project. Yes, eat this. Warm, with crispy edges and gooey center, melty chocolate chips and walnuts. So good! Specializing in used, rare, and out-of-print books, this is a good little bookshop with friendly service. Outside the Pacific Northwest Shop and created by Gary Pedersen, this is one of many Soul Salmons created by artists to help educate the community, celebrate salmon, and raise environmental awareness. A friendly and cozy bowling alley with great late-night deals on Mondays and Wednesdays. Another booth at the Proctor Arts Fest, I couldn’t believe how many artists and musicians came to this event!